A man claims he was fired from FedEx for speaking English with a Russian accent, according to a new lawsuit filed in U.S. court. A Utah FedEx truck driver alleges that he was fired because of his Russian accent, even though he offered to appear before a manager of FedEx to demonstrate his English speaking skills. Ismail Aliyev has filed a federal lawsuit against the shipping company for discrimination. Aliyev worked for GNB Trucking Co. in Salt Lake City suburb of West Valley. 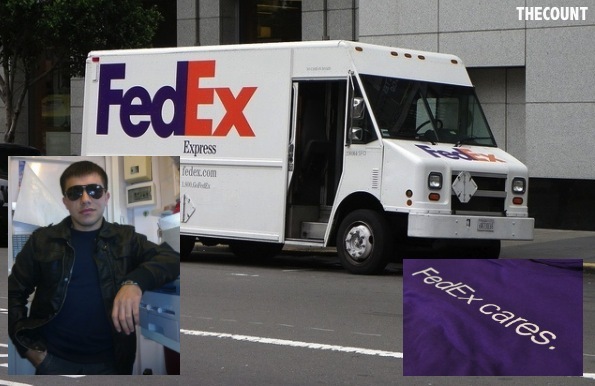 The small company owns and operates the FedEx branded trucks and provides drivers with FedEx uniforms. Aliyev said his problem began after a few months on the job when a weigh station in Iowa gave his company a warning for his Russian accent. One requirement of holding a commercial driver's license is the ability to communicate well in English. "I think for a driver, my English is not so bad," Aliyev, now an independent trucker, said. “Aliyev has an accent, but it's understandable," Robert H. Wilde, his lawyer, said. "GNB said he was an excellent employee and would have liked to stay with him, but was instructed by FedEx to fire him." Wilde said the firing was ordered by a FedEx manager who did not bother to talk to Aliyev and Aliyev offered to travel to FedEx headquarters to show his language skills, but was rejected.